If you have made several settings that you would like to apply to other pictures, you can use the Preset feature to save the settings. This guide will show you how to do that. 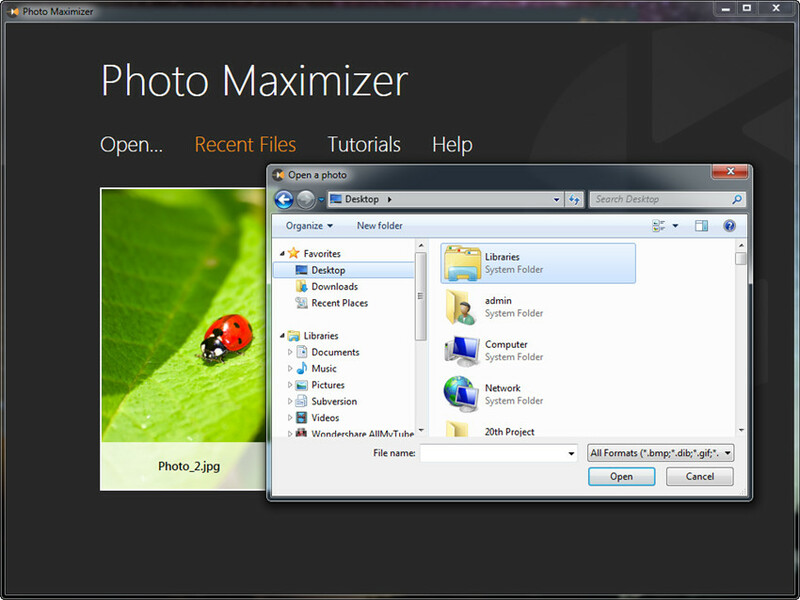 Start Fotophire Maximizer and choose Photo Maximizer in the program window, and then you’ll see the main interface of Fotophire Maximizer. Now you can click Open to add photo from computer. 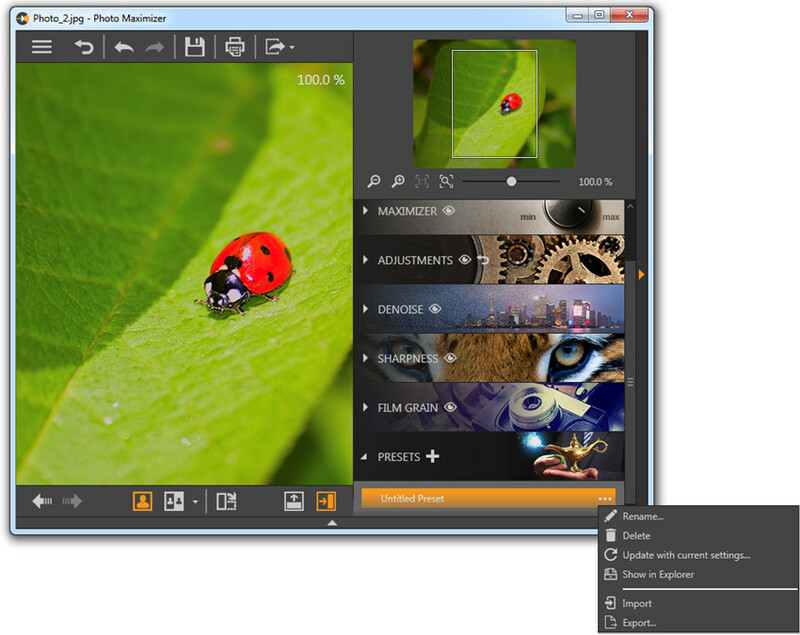 Now you can apply the settings to your photo. After that, you can go to the PRESETS option at the right side of the main interface, and click + at the right side of the tab, then you’ll see a pop-up window that allow you to name the settings. When you’ve saved the settings to the program, you can use it any time you want. You can manage the saved settings. 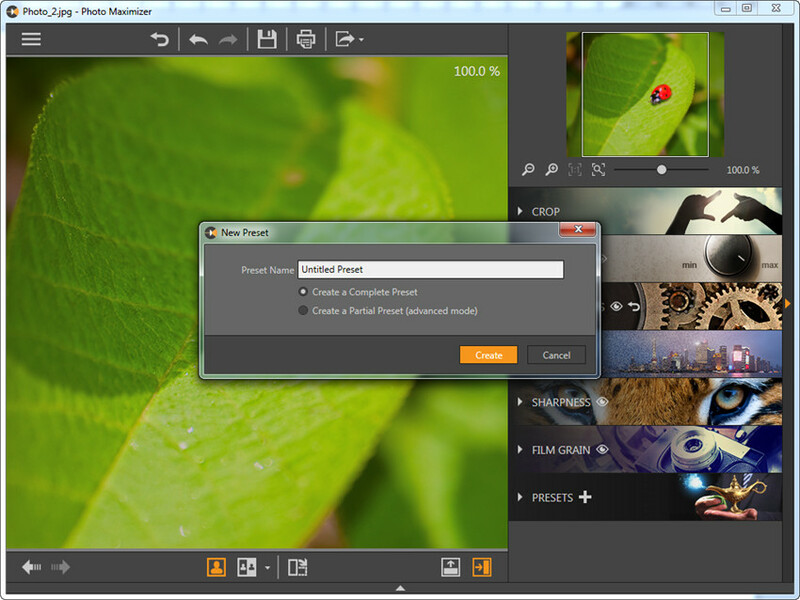 The program offers you several options, including Rename, Delete, Update with current settings, Show in explorer, Import and Export.